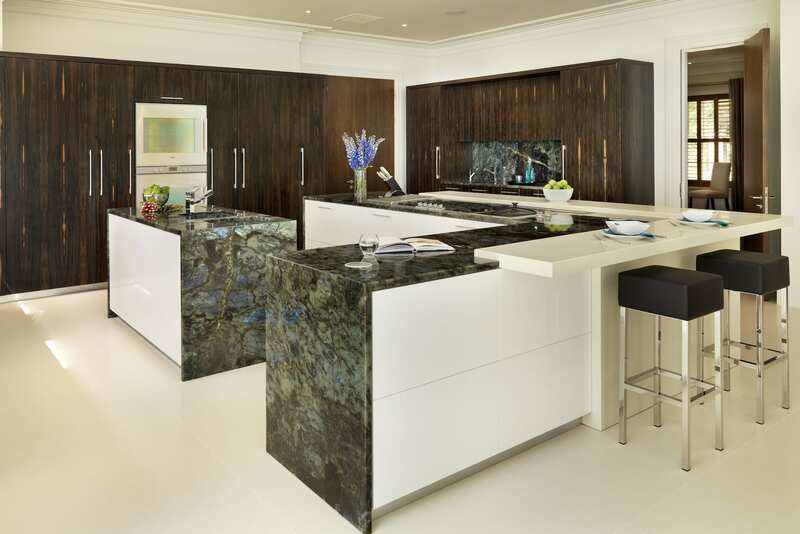 When Jimmy and Samantha Jones decided to undertake the entire design and build of their brand new luxury home in St George’s Hill it was clear their kitchen was the most important room and therefore had to be absolutely perfect. 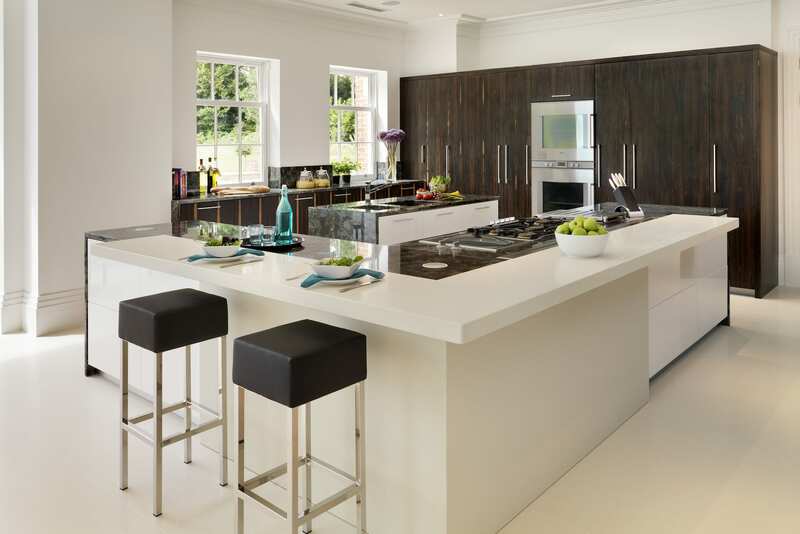 It needed to be a flawless, contemporary family kitchen, with top-spec appliances. The room had to function as a family space as well as a corporate entertaining area, requiring a seamless transition between the two. The Davonport D3 kitchen perfectly fitted the brief. 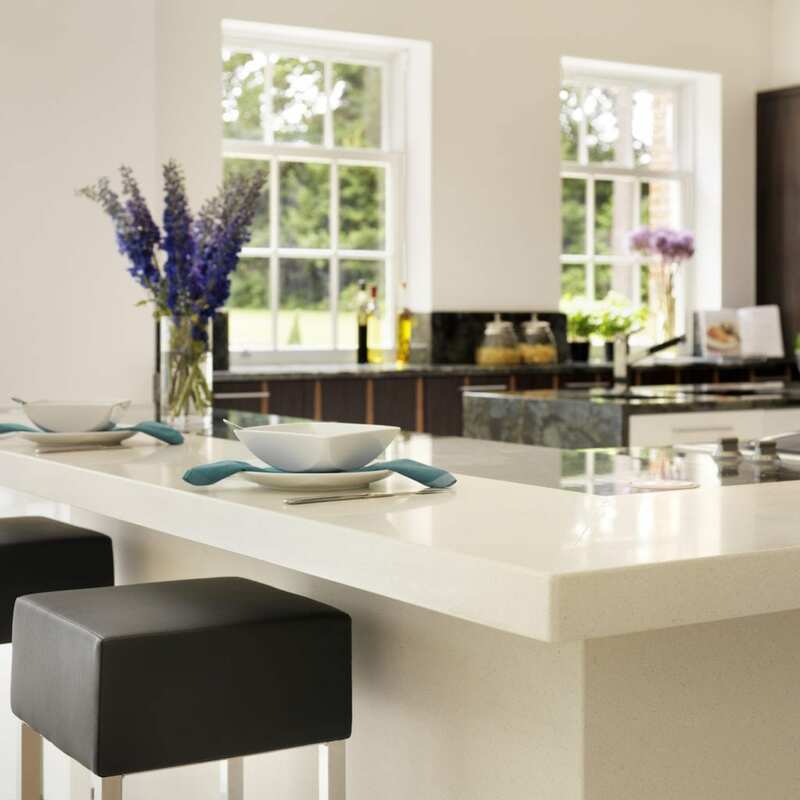 “We wanted to create a stunning contemporary kitchen, whilst retaining a classic, timeless feel using lots of beautiful, high-quality, low-maintenance materials,’ Samantha explains. ‘We have a large family, love entertaining and with Jimmy’s premier sporting career background, we knew we wanted a big, beautiful, flexible space that could accommodate large-volume cooking, stylish entertaining, as well as a sociable space for the children to enjoy.” A year into the overall house build, the kitchen layout, (which leads onto a dining area, conservatory and swimming pool), was finally confirmed. With layout and appliances finalised, Jimmy and Samantha considered which materials to use. 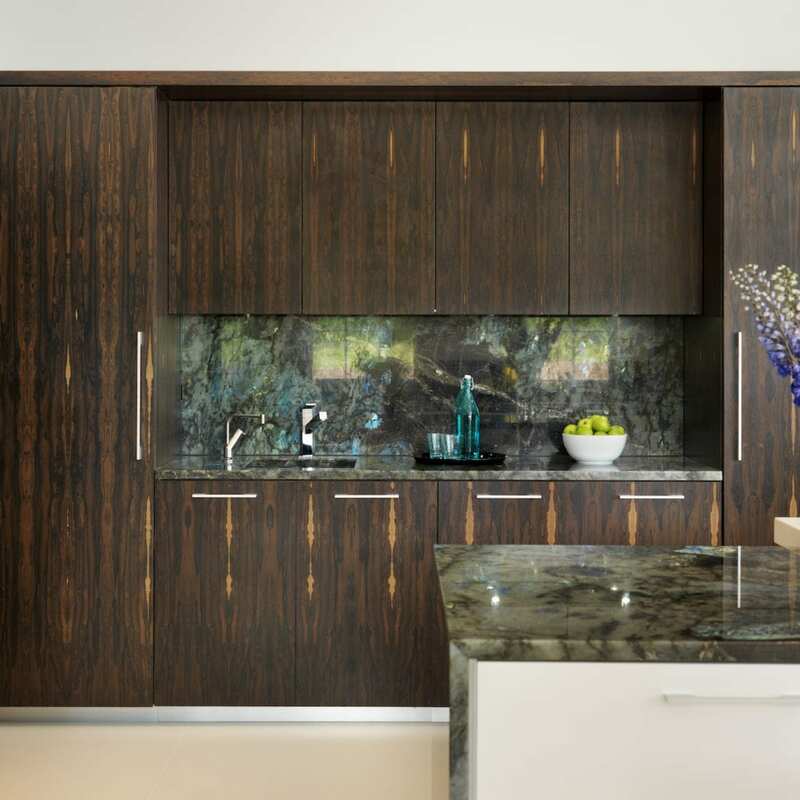 Guided by their designer on a visit to the veneer mill, Jimmy selected deep wooden Ziricote veneer, a South American wood, for the base cabinets and fitted furniture from Davonport’s sleek ‘D3’ collection. 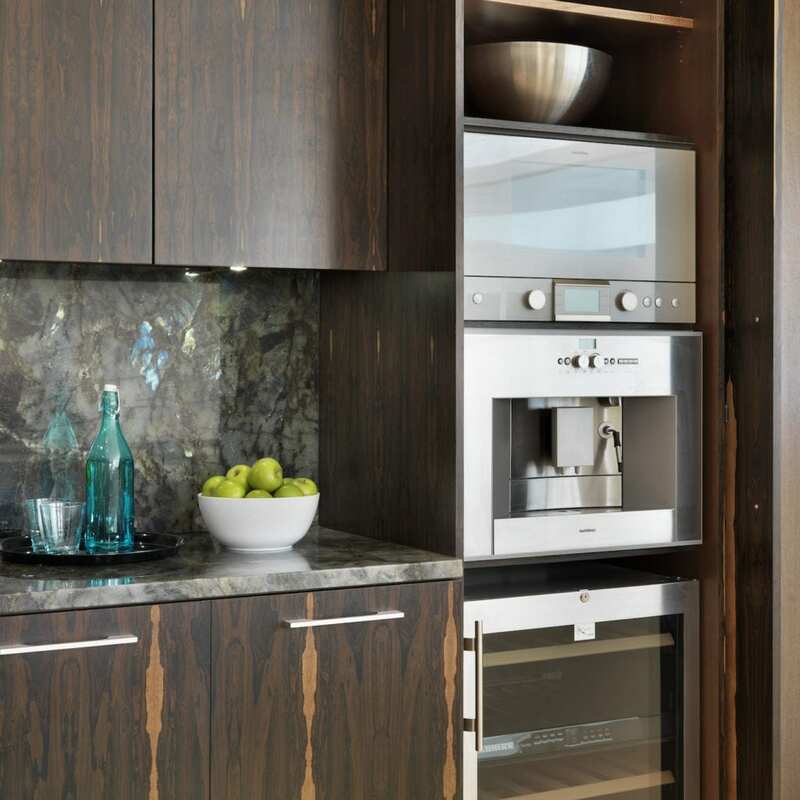 The grain of the Ziricote wood boasts beautiful streaks of yellowy gold set against the dark brown, and this teamed effortlessly with high-gloss white lacquered finishes on the island units. These also housed the double oven and integrated fridge-freezer on one side, and coffee machine, microwave and wine cooler on the other, hidden behind a clever retracting pocket door. With the built-in Quooker hot-water tap, the sink area was ideal for preparing drinks. “The kitchen has been so very well planned, even though it is a very large space, everything is still within easy reach,” says Samantha. Continuing the design layout, tall elegant fitted cupboards were installed on the two framing walls of the kitchen created a relaxing streamlined feel and were perfect for storing dinner services and glassware. 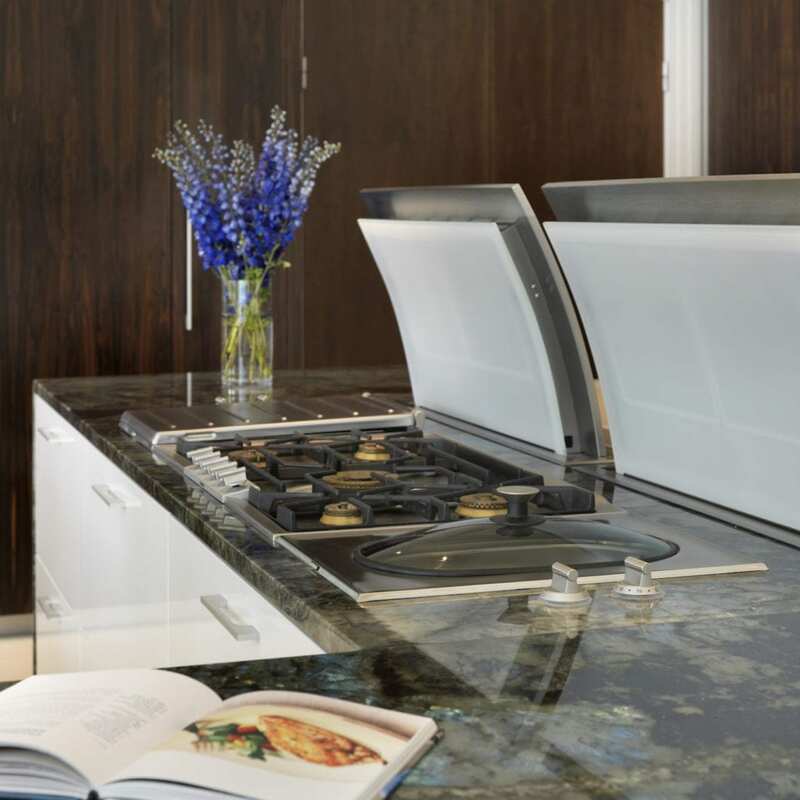 A mixture of light-catching iridescent Labrodite Madagascar granite worktops and cream quartz composite surfaces on the island and cream flooring, combined to create an exquisitely dramatic design. 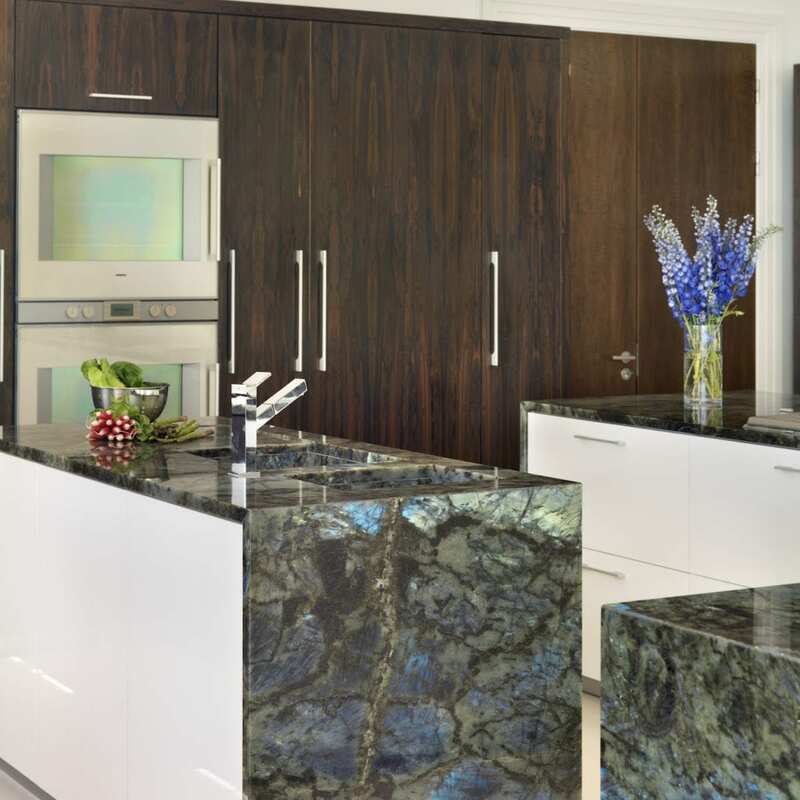 The raw slabs of granite were sourced personally by Samantha who flew to Italy to choose the precise finish. She fell in love with the very unique dark grey finish that flashes from an aqua blue, to green to yellow to pink as the light changes.